WASHINGTON — The Senate Judiciary Committee voted Thursday to advance legislation designed to make it more difficult for any president to dismiss a special counsel, a signal to President Donald Trump amid Robert Mueller's ongoing Russia probe. The bipartisan action came after Democrats had feared Grassley was working on an alternative measure that would have watered down the sponsors' goals. The Iowan agreed to drop a provision he favored that would have required a special counsel to notify lawmakers each time changes were made to the scope of an inquiry, which Democrats feared opened the door to congressional micromanagement. 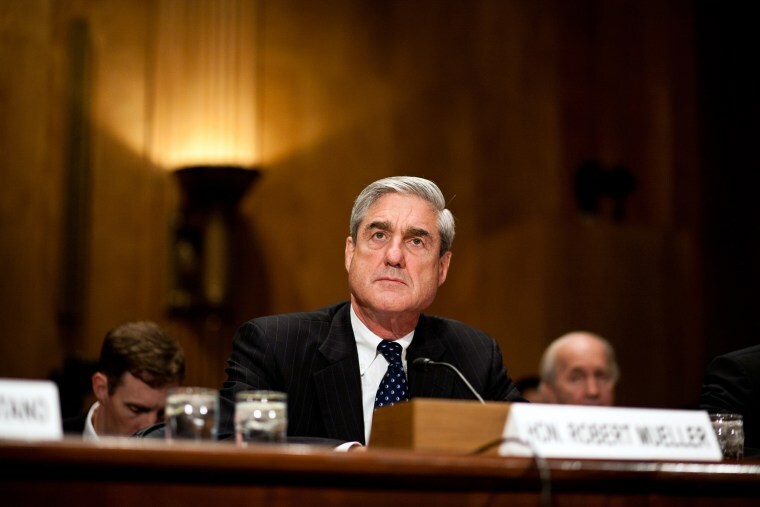 The final compromise would require the special counsel to submit a report to Congress at the conclusion of the investigation detailing his or her findings and explaining any prosecutorial decisions. Arizona Sen. Jeff Flake joined fellow Republicans Grassley, Graham and Tillis in the final 14-7 vote. The committee also defeated an amendment from Sen. Mike Lee, R-Utah, which reflected concerns among many Republicans that the legislation is unconstitutional. Though a 1988 Supreme Court decision upheld a now-expired law protecting special counsels from political interference, Lee cited the dissenting opinion from the late Justice Antonin Scalia as a signal of how a future court might rule on the new legislation. Sen. Orrin Hatch, R-Utah, said prosecution was a “core executive function” that the legislation would infringe upon. Sen. John Cornyn, R-Texas, the No. 2 Senate Republican, said a better approach would be to have the full Senate vote on a non-binding resolution calling on Trump not to fire Mueller. He said despite the committee’s action the full Senate would not take up the bill, the House was unlikely to pass it, and that Trump would never sign it. Booker said he was confident that the measure was constitutional, but that ultimately lawmakers needed to act. “Our job is to do the best we can in this moment in crafting legislation, and if this has to have a Supreme Court challenge, so be it,” he said. The vote came just hours after Trump told Fox News that while he is staying out of the Russia investigation, he may "change" that approach at some point in the future. Senate Minority leader Chuck Schumer, D-N.Y., called on McConnell to "immediately" bring the bill up for a full Senate vote. "Given President Trump’s statement just this morning that he may interfere with the special counsel’s investigation, it’s become even more of an imperative that Leader McConnell put this bill on the Senate floor for a vote immediately," he said in a statement. "Rather than waiting for a constitutional crisis, the full Senate should act now."